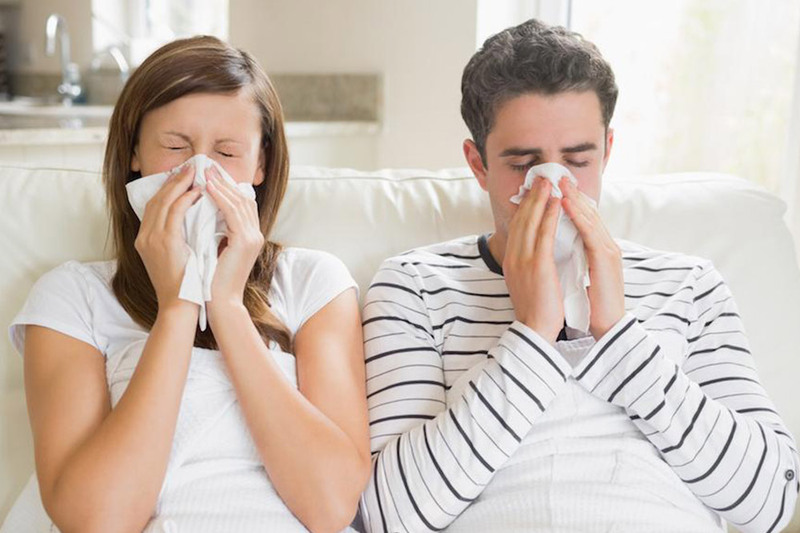 The common cold is almost always accompanied by a cough and can be quite an irritating condition to deal with. Don’t let that nasty cold get the best of you. Herbs, vitamins, and minerals from around the world have been used for centuries to alleviate the symptoms of the common cold, cough, and flu. Wan’t to get rid of your cold and cough without medication. We have sorted some of the best home remedies for cough and cold here on this page. Honey is one of the best remedy for a sore throat. It can also relieve coughs more effectively than over-the-counter medicines that contain cough suppressant. At home you can easily prepare home remedy for cough with Honey, Lemon and Warm Water. Mix two teaspoons of honey with herbal tea or warm water and lemon. The honey does the soothing, while the lemon juice can help with congestion. Turmeric has anti-viral and anti-bacterial agents that can help beat the infection of copugh and cold. It also helps in sore throat. One of the ancient remedy for cough and cold is to dring turmeric milk. Take a teaspoon of turmeric and add it to a glass of milk and boil the mixture and drink the hot mixture. Ginger Tea is one of the best teas to sip when you’re feeling stuffed up. Ginger is known to soothe a common cold to make it bearable and perhaps even speed up the recovery process. In ginger the compound of that family is called gingerol helps relieve congestion in a couple of ways. It lessens inflammation of mucous membranes that line the nasal passages and the sinus cavity, and this inflammation contributes greatly to the buildup of pressure and congestion. Garlic is packed with antioxidants and is perfect to protect you against a cough and cold. Apart from that garlic contains a compound known as allicin, which is known to have great anti-bacterial, anti-viral and anti-fungal properties. At home, you can crush a few pods of garlic and wrap it in a clean cloth. Now place this in your ear, making sure you do not push it in too deep. Herbal teas combine the beneficial effects of different ingredients such as pepper, ginger, tulsi and cinnamon to help relieve the symptoms of cold and cough and keep the condition at bay. While the remedy may seem relatively simple, a salt and water gargle can help soothe a scratchy throat that causes you to cough. Mixing 1/4 to 1/2 teaspoon of salt with 8 ounces of warm water can help to relieve irritation. You can loosen up your stuffy nose if you breathe in some steam. Hold your head over a pot of boiling water and breathe slowly through your nose. But be careful. Don’t let the heat burn your nose. Brandy keeps your chest warm or increases body heat, while honey helps fight a cough. A teaspoon of brandy and honey improves cough. One of the simplest home remedies for a cough is to cut onions. Breathing in the strong vapors can help stop coughing. Another option is to combine one-half teaspoon of onion juice with one teaspoon of pure honey. Swallow this solution at least twice a day to alleviate a cough and soothe your throat. Boil flax-seeds until it thickens and strain it. Add a few drops of lime juice and honey. Consume the mixture for cold and cough relief.